Expert kitchen design-build advice | The Basic Kitchen Co. If you are considering renovating your kitchen, take this opportunity to consult with Remodel-it Ralph, an expert design and installation specialist from TheBasicCompanies.com, for insight into planning your project. We have provided hundreds of homeowners throughout New Jersey and eastern Pennsylvania with a satisfying kitchen renovation experience. Our experts are available to share the expertise and knowledge we’ve gained with you. To submit a question, complete the short form on the right side of this page and click Submit. One of our kitchen design/installation experts will respond to your question shortly. 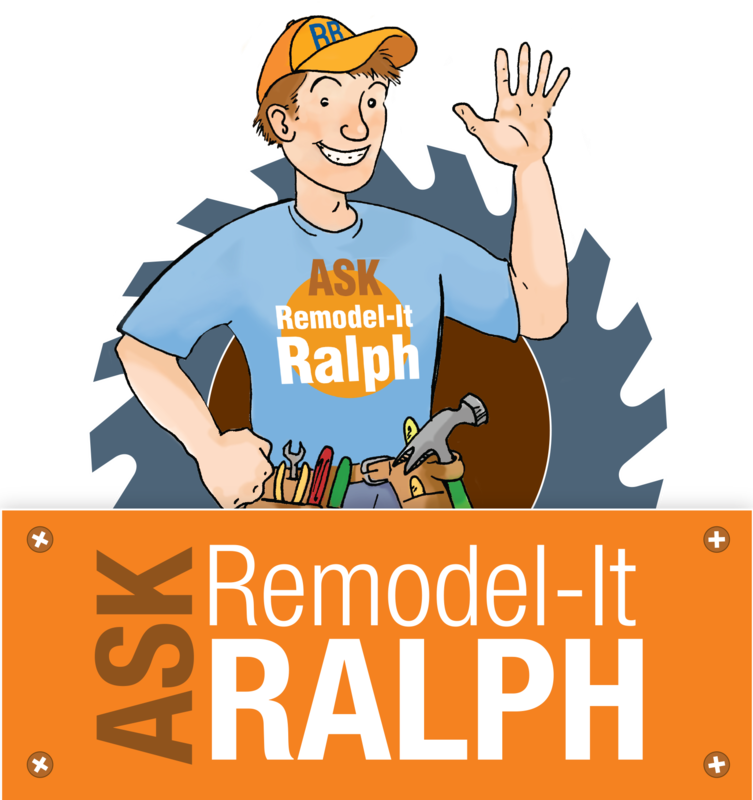 Or, read below to view responses from Remodel-it Ralph to frequently asked kitchen remodeling questions. Question: Does the kitchen package include the cost of the cabinets? Response: Our kitchen remodeling package includes removal of existing cabinets and installation of new cabinets. Our customers can create the look they desire by selecting from hundreds of solid wood cabinet and finish options from leading manufacturers Kabinart, Hanssem, and Timberlake. Our design-build teams will counsel each customer during the selection process to ensure they are satisfied with the final design. Response: To maintain a consistent look/feel throughout your renovated kitchen - if you are installing white cabinets and a white/grey blended granite countertop, we recommend that the tile backsplash colors include grey, white, and black, and that you use a shade of gray paint for the walls. The black tile in the backsplash will offer enough contrast to highlight the white cabinets. The white and grey tile in the backsplash will keep the design between the countertop, cabinets, and walls consistent. Thanks and best of luck with your kitchen remodel! Response: Being that you have a very small kitchen, you should definitely stick with the light colors, although painting everything white might be a little too much. Perhaps you should stick with the light grays for your doors and slightly darker for the trim. If your door style is more traditional, you may want to go with warmer colors for your doors and trim such as yellows and reds or anything in that spectrum. Hopefully this helps - good luck with your remodeling and remember to have fun!!! Question: I live in a townhome. My Kitchen does not have any windows. I have put in granite counter tops, cream and brown. Should I paint the cabinets white to brighten it up? Response: Painting your kitchen cabinets would give the room a refreshed, and more complete, look after replacing the countertops. If you choose a lighter color of paint for the cabinets, it would help the room look larger and, at the same time, make the room brighter. However, keep in mind that it's also important to pick a color that you like - color is subjective, and there is never a right or wrong answer when it comes to personal taste. Question: Our kitchen is in need of a modern makeover. 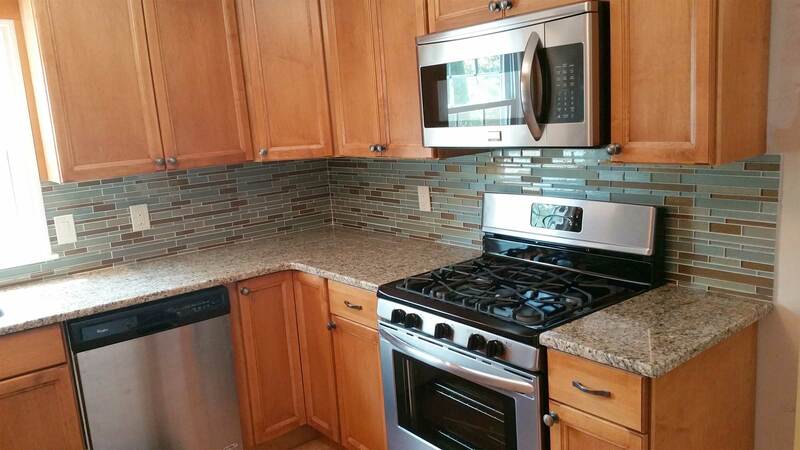 We have updated all of the appliances, but cabinets and countertops need to be replaced. Keeping costs in line is important to us as we are on a tight budget. Our kitchen is not very big - maybe 12x10. What would something like this cost, and do you offer free financing? Response: The approximate cost for a kitchen renovation project like this is $12,000. The cost is dependent on the cabinets and countertop you select, as well as if you are interested in new flooring, fixtures, and a backsplash. Selecting specialty cabinets could impact the cost as well. Unfortunately, we do not offer financing at this time. Question: I am considering remodeling my kitchen, but need to work within a budget. Can you tell me how I maximize my budget? Response: Leave your appliances in the same location. This way you will avoid the costly expense of having to have a plumber move them. You will then be able to maximize your budget towards your cabinetry, countertops, and new appliances.